Well yet again it has been forever since I have visited my own lowly blog, but I do have a few small projects to share with you. 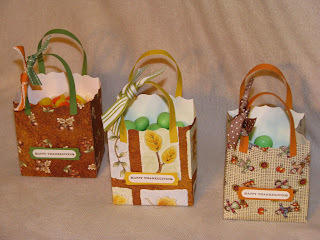 here are some simple bags I made using the Stampin up favor box die , I filled them with mints and candy corn to put on my mothers thanksgiving table. 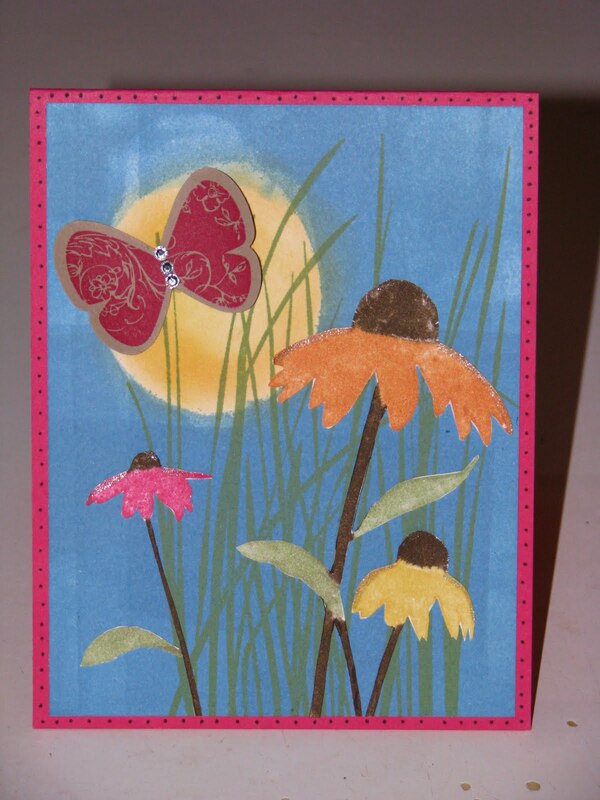 Then on a different note here is a card I came up with just fooling around with the SU inspired by nature stamp, hope you like it.